It’s hard to find a movie that makes you laugh harder than The Hangover. Unless you find The Hangover Part II or Part II, that is. 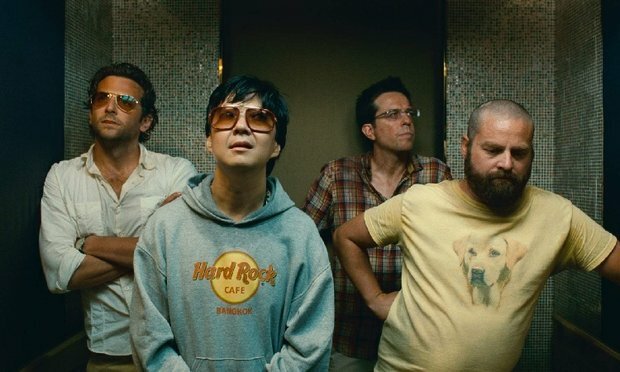 In celebration of the fantastic comedy trilogy, The List Love is offering 10 crazy facts about The Hangover. The Hangover Part II set received a very unexpected visitor. None other than former US President Bill Clinton visited the set. It was widely reported he would make a cameo in the movie, which he did not, but he was happy to come along and watch a bit of filming. You may have thought some camera trickery was used to remove the tooth from Ed Helm’s mouth, but the process was actually pretty simple. As he had an adult incisor that never grew properly, Ed wears a dental implant, and so it was rather easy to remove the tooth for the toothless scenes. 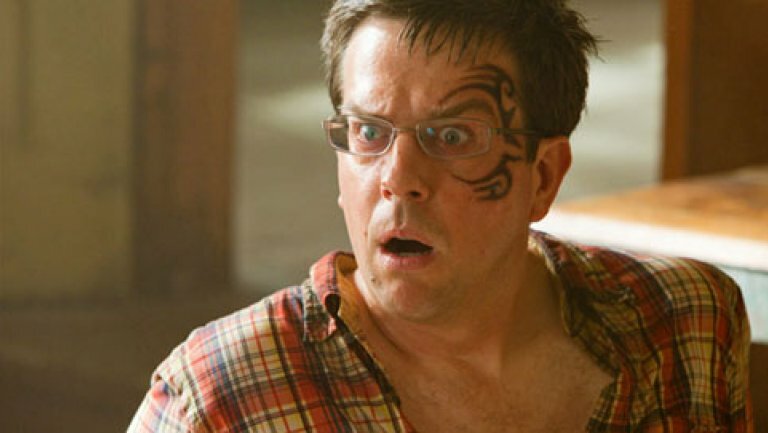 In between filming The Hangover, Ed was also starring in The Office, and stated that removing the tooth made filming the TV show a little difficult. Three Best Friends and Stu’s Song are pretty genius, right? Well, kind of. You may or may not be surprised to learn that both “Three Best Friends” performed by Alan, and “Stu’s Song” performed by Stu, were improvised by Zach Galifianakis and Ed Helms. Who knew Mr Chow was such a big family man. According to reports, Ken Jeong would often bring his children onto the set to watch their daddy film scenes for The Hangover Part III. The beat-up Mercedes in The Hangover was actually stolen from the parking lot during filming. It was only recovered when a member of the production team noticed the car in traffic as they were filming driving scenes. 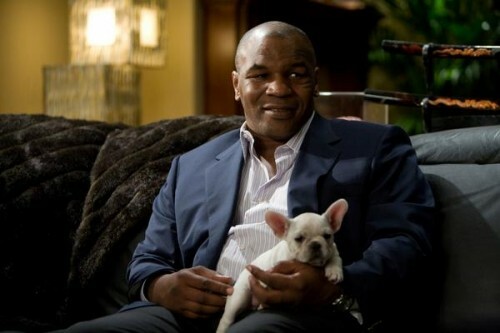 Mike Tyson was drunk when creator Todd Phillips and Justin Bartha, who plays Doug, convinced him to do the movie. The guys were doing shots in a Las Vegas nightclub owned by Nick Cannon when Phillips and Bartha pitched Tyson the role. So the next day Mike Tyson woke up with a different type of hangover. 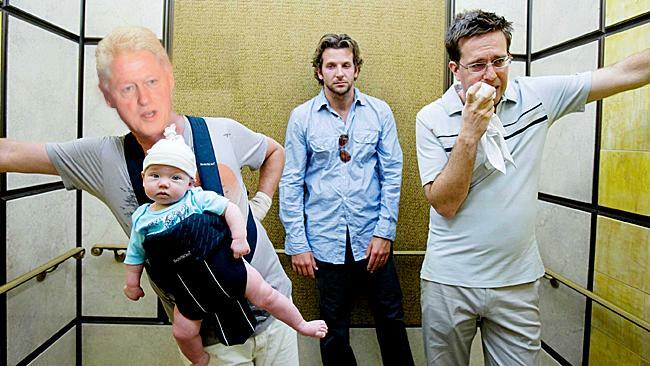 The Hangover most definitely glorifies drinking with your mates, right? So you might be a little surprised to learn is that Bradley Cooper is tee-total and has been since he was 29. The Hangover’s screenplay was actually featured in the 2007 Blacklist, which is a list of the most liked unmade scripts of the year. 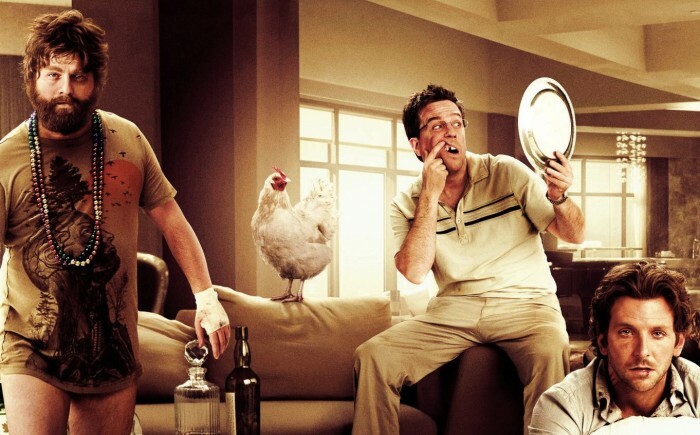 The Hangover Part II is the highest-grossing R-rated movie of all-time, earning $581,464,305 worldwide – and it earned $177.8 million of that sum in the movie’s opening weekend. Who held the title before Part II came along? The Hangover Part I, obviously. The Hangover Part II might have been a box office smash, but success sometimes comes at a price. Numerous lawsuits were filed following the release of the movie. The tattoo artist S. Victor Whitmill sued Warner Bros. for copying Mike Tyson’s tattoo, which he designed for the boxer and claimed it as his copyrighted work. After much debate, Warner Bros. settled the lawsuit with Mr Whitmill for an undisclosed settlement. That’s not all, in 2011, an Australian stuntman filed a lawsuit against Warner Bros. when he was injured during the filming of the movie in Bangkok. Again, the case was settled out of court for an undisclosed figure. Warner Bros. did, however, win one case against Louis Vuitton, who filed a lawsuit over the use of a fake case in a movie scene. Follow The List Love on Facebook, Twitter and G+. Love a good comedy? Check out these 10 interesting facts about the Bridesmaids movie.